A heart and kidney transplant patient has been killed in an ambulance horror crash - just hours after undergoing the life-saving operation. James Larson, 36, was being transported to a rehabilitation facility yesterday after awaking from the long-awaited surgery at a nearby hospital . 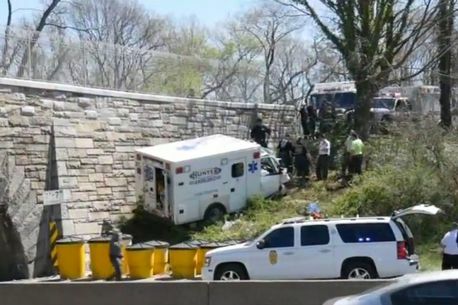 But as the ambulance he was in travelled down a highway, it slammed into an overpass, killing him and the driver. 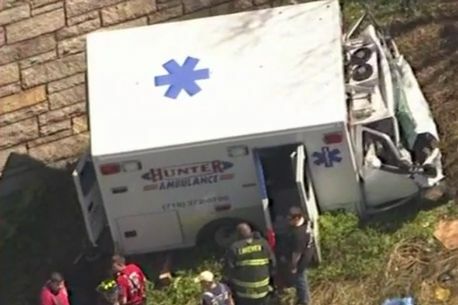 At the time of the tragedy, Mr Larson was being driven from Mount Sinai Hospital to Holly Patterson Extended Care Facility in Uniondale to recover from his operation.It was the first time he had left the hospital in 15 months, his grief-stricken relatives told Newsday.